I’m excited to have my friend Jenny Herman share with us today. Jenny is the author of The Power of One, an inspiring look at one simple strategy that helps us ordinary moms overcome the roughest days. Today she explains how we can turn those days around. Even better–she’s giving away her book to a lucky reader! 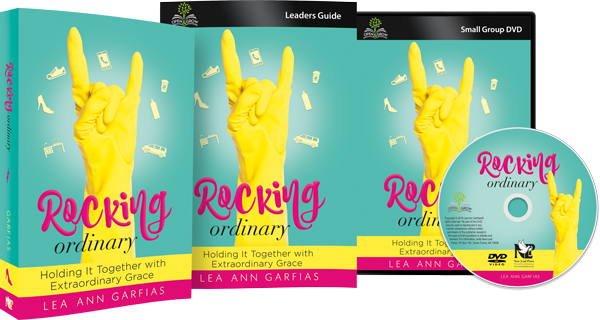 Read on to find out how to get a copy AND a free resource! Dishes holding the sink hostage, spilling over to all available counter space. Toddler Destructo who takes everything apart while you teach the older kids. Heartbreak of a challenge like dyslexia or apraxia. Child who just can’t get that math concept, no matter what you try. Difference between your teaching style and your child’s learning style. Stress of financial issues pressing into your thoughts while you teach. Irregular schedule caused by caring for an ailing family member. Intimidation of teaching a high school course about something you dislike. Overwhelm of being a single parent working, raising children, and teaching them as well. There are many other things I could add to that list. And so mixed into the good days we get days where we’re not sure we can get out of bed, put on a smile, and teach our kids. We’d much rather pull up the covers and wait for the homeschool fairy to find our teaching manuals. I don’t mean one person can help, though they could. I mean you can use the big power of the little number one to manage these tricky days. Just do one thing. Then one more. Don’t think about tomorrow. Don’t stress about the intimidatingly long to do list. Just. Do. One. Thing. Train your mind to start thinking, “Just do one thing.” What does that look like, homeschool parent? The following list shows you “one things” you can do to get through those tough homeschool days. If your child is easily distracted, give him one assignment at a time. If a page full of math problems makes him cry, give him one problem at a time. 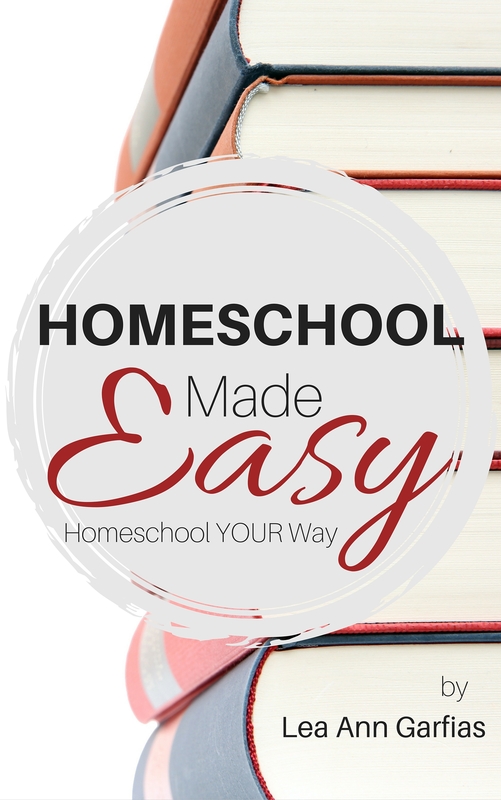 Find one tool to make your homeschool life easier. Perhaps it’s your crockpot or a list of favorite easy meals to make dinner time go more smoothly. Maybe it’s a wipe-off jobs list for your kids. Discover the power of deletion! What one thing could you remove from your crazy days? Sometimes a simple exercise break can change the flow of a hectic day. Have a dance party with the kids or have them run up and down the hall. Give yourself an attitude adjustment. Find things to be thankful for. Yes, that child is yelling at you over science. There are some people whose children can’t talk. The clothes in Mt. Laundry represent the people in your family who love you. That full garbage bag equals money you had to purchase things to care for your family. Play tic tac toe. You’d be amazed at the many different ways a tic tac toe grid can save your brain and your sanity! Use it to organize your day, to show your child what needs to be done, or to plan your grocery shopping trip. Learn more about this fabulous tool here. Change location. Take your school materials to the library, or leave them at home and do a library scavenger hunt. Hit the books at your local coffee shop. Play with numbers at the park, then let the kids play on the equipment. Take a break. Do some deep breathing. Bake cookies. Watch a movie. Have read-aloud time. Have read-aloud time in a fort. Have read aloud time in a fort outside. Change your focus. Instead of looking at the big list for the day, tell yourself you want each person to accomplish one thing. When that’s done, see if there is one more thing each person can do. Help someone else. Reaching out to help others gets you out of your own funk. Has your homeschool day gotten off track? Stop, call a parent-student meeting, and brainstorm ways to bless others. You could do a donate dash, running around looking for things to take to the local children’s hospital. Make cards for someone you know who is sick or lonely. Volunteer at a local organization. Hopefully these ten ideas have started your brain percolating. Sometimes our bad homeschool days seem like the end of the world. With little tweaks and “one things”, we can change the day’s outcome. What is one thing you do to turn a bad homeschool day around? I’d love to hear in the comments! Now for the fun part! I’m giving away a copy of my book The Power of One: Change Your Perspective, Change Your Life. One can change other areas of your life, too. You’d be surprised! You’ll want to complete the entry that subscribes to my blog posts, because you get a free companion study to my book with even more tips. Jenny Herman wants to live in a world where dark chocolate dispensers reside on every corner. As a homeschooling special needs mom, she’s been featured in Autism Parenting Magazine, Wit and Wisdom from the Parents of Special Needs Kids: Mostly True Stories of Life on the Spectrum, and various blogs. If she survives the onslaught of testosterone in her home, she may take a moment to blog, read a book, try a new recipe, or loom knit a gift. You can find Jenny’s book The Power of One: Change Your Perspective, Change Your Life on Amazon. Discover her tips for special needs parenting, hands-on homeschooling, and pressing on at jennyherman.com. GIVEAWAY — Win This Book! Jenny is giving away a copy of The Power of One! Enter below. Each additional share and sign-up gives you another chance to win! The randomly-chosen winner will be announced here Thursday, March 17 and contacted via email. Good luck, and happy sharing! 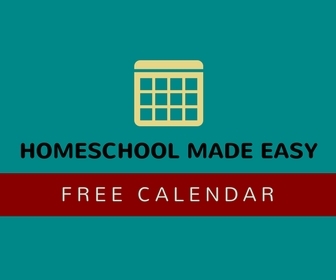 5 BONUS entries for subscribing to my homeschool newsletter. Check here to subscribe. Bonus entry -- subscribe to Jenny's newsletter to receive the companion study. Check here to subscribe. Bonus entry -- SHARE This giveaway on facebook!